3 reizigers hebben vandaag geboekt. Heeft u een vraag voor Dandelion Resort (Dandelion Resort )? 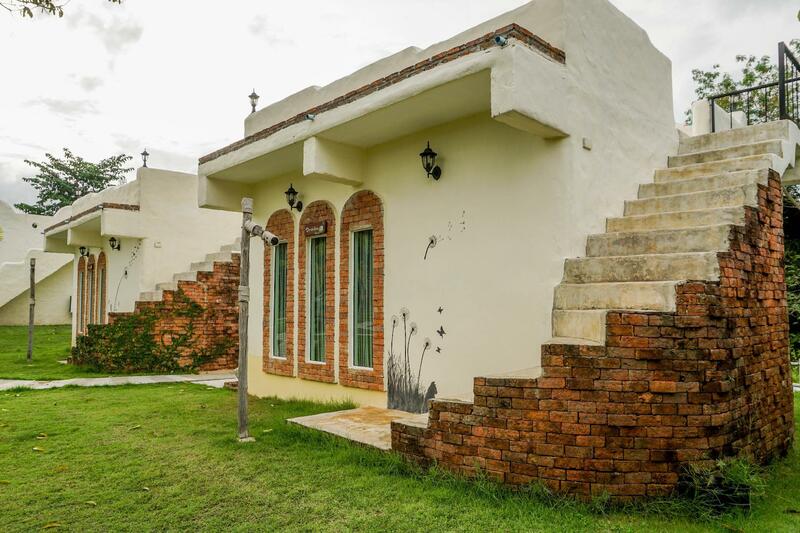 Gelegen in Suan Phueng is Dandelion Resort de perfecte keuze voor reizigers die Ratchaburi en omgeving willen bekijken. Vanaf hier kunnen gasten genieten van eenvoudige toegang tot alles wat de levendige stad te bieden heeft. Dankzij de praktische locatie liggen alle belangrijke trekpleisters in de buurt van het hotel. Bij het Dandelion Resort staan de excellente dienstverlening en superieure faciliteiten garant voor een onvergetelijk verblijf. Dit hotel beschikt over vele faciliteiten die zelfs de meest veeleisende gasten zullen overtuigen. Aanvullend beschikken alle gastenkamers over een variëteit aan voorzieningen als plasma tv, internet (draadloos), draadloos internet (gratis), rookvrije kamers, airconditioning, om zelfs de meest veeleisende gast te tevreden te stellen. Hotelfaciliteiten als vissen, massage, tuin bieden alle gelegenheid om te ontspannen na een drukke dag. 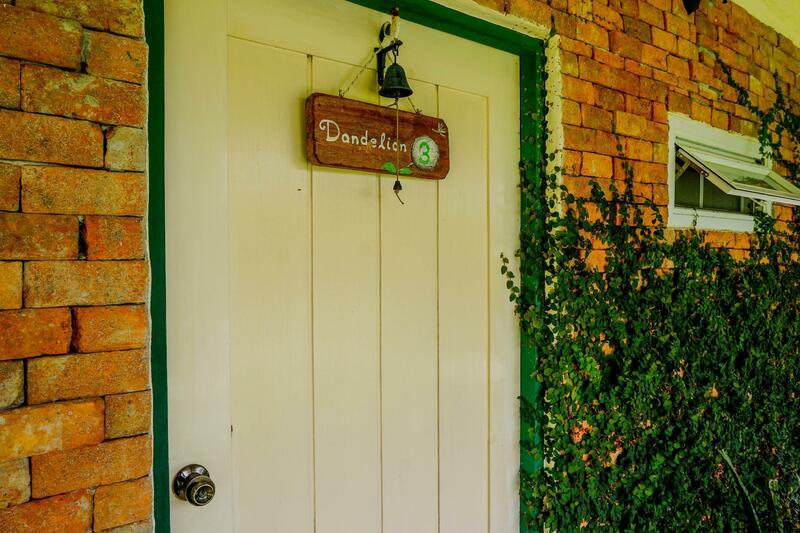 Het Dandelion Resort is een slimme keuze voor mensen die reizen naar Ratchaburi: een ontspannen verblijf is gegarandeerd. Honden worden tegen betaling van een toeslag per hond per nacht van 300-400 THB bij de accommodatie toegestaan. Neem a.u.b. uw eigen hondenkussen mee. Honden zijn niet toegestaan op het bed van de accommodatie. The spoken english of the staff and owners are not very good, however they try to be helpful and they are very nice and friendly. They even recommended places to visit and check out around the resort. The breakfast prepared were essentially very thai and gets you into their culture. The resort dog, Yaya, who the owner jokingly said was the receptionist, was very friendly, she even came into my room and kept me company for awhile. One of the best at reasonable price. The hotel owner is very nice and kind. We read many positive reviews before we booked and apparently, those are true. everything was perfect - amazing little bungalow with rooftop terrace to watch stars after sunset. The breakfast is included and it was very tasty. Yaya (the resort dog) is amazing and friendly. The owner suggested us good restaurants to dine where we're happy with it the most. this is very nice and warm hotel . we likes the stones rooms so much.. its just makes us felt like we stay in the santorini... owner is nice too .. we reached there at the early morning 5am something , but she is so nice and caring . Nothing to fuss. Friendly owner, lovely and quiet environment, looks new and clean rooms, cute little decor and spacious, delicious home cooked breakfast. Will definitely recommend to friends if they are in San Phueng. Lovely resort in Mediterranean theme. Resort seems to had some minor reno and the place looked new and clean. Our 2 nights were pleasant and wished we had another night extra. We had requested owner to prepare a bbq dinner at the rooftop and we were very glad that it turned out to be the most memorable evening in our trip. Thanks Dandelion for being such hostile and their super friendly dog! Worth the stay! Superb place and friendly owner with a very cute dog called Yaya. We truly enjoyed the stay! The weather was quite cooling at night and in the early morning when we were there. It has a very relaxing feel. The breakfast was simple but adequate and good. The owners were friendly but the lady owner was exceptionally kind and caring. I would definitely recommend everyone to go and stay there. A very warm, friendly welcome from the owners who were very helpful in providing information about the local area. 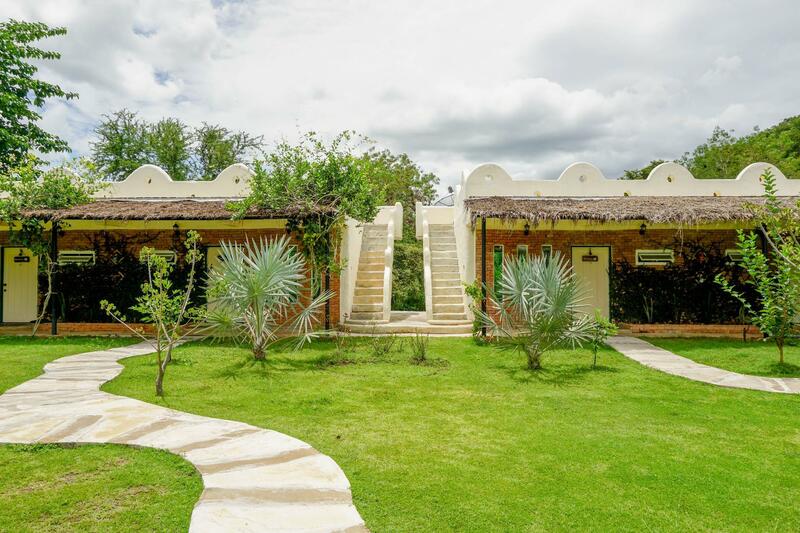 The resort is in a good location, easy to find and close to many attractions. It's in a quiet, peaceful area, with good surroundings and the room is spacious and the bed very comfy. On the negative side; I don't think the Rainfall Shower had ever been cleaned, there was a dusty cobweb that had been in the shower a while and 2 of the 3 soap/shampoo dispensers were empty in the bathroom. The room was full of Mosquitos; I guess the door was left open whilst cleaning as there's no mosquito screen and there's plenty of mosquito's from the stagnant pool by the houses. I wondered if the owners ever checked the room after the cleaners? There was only two sachet drinks provided in the room which isn't many if you're there for a few hours. Although the breakfast was more than adequate the fried eggs were cold (I think they cooked them all at 7:30), the toast was warm bread (still white) and the only milk was Carnation (even though we asked for normal milk). Also, be aware that the resort allows dogs in the rooms if you have an allergy. We had a super stay in this new hotel...The owners welcome us with a complimentary drink and even if they were not fluent in English they tried their best to answer all our questions. 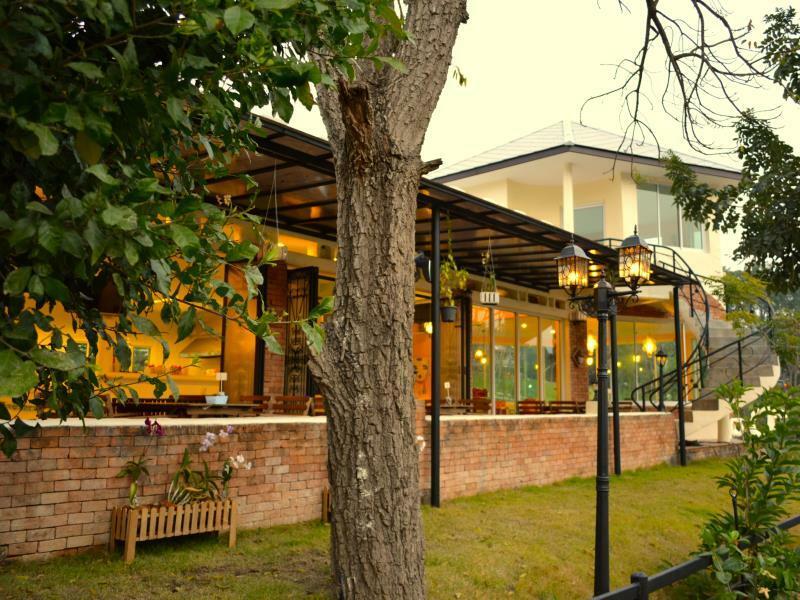 The hotel is nicely designed to provide a comfortable stay to people in search of quiet and nature. There is a big lawn where the children could run around and on top of each room there is a roof where you can stay and see the stars (when not cloudy!!). There is also a terrace accessible from the room overlooking a river and a lot of greenery. The room has all to be comfortable and the shower was really a treat. The breakfast was copious (moer of a lunch) and the konji very good. From the hotel is a short drive to a beautiful hike to a waterfall and other fun hotels (we visited Scenery resort which is very exotic for Thailand)! There is a restaurant in front of the hotel but no-english menu and no beers...so next time we would take a car for a better restaurant. It is very good. Although the resort is small, it's worth the money. The room is so comfortable and clean. The decoration is very nice, romantic and beautiful. The surrounding is quiet. It's good for anyone who wants to find some nice, relaxing and cozy place. no problem, small hotel with 6 rooms, nice and clean and also decorated with small dolls. there is a roof where U can relax with the wind breezes. there is a small stream behind the room and the forest not so far away. Highly recommended! I was looking for a big room that can fit 4 girls. And we were glad we chose Dandelion. What we loved about this place: 1. The owner took care if us with her warm and attentive personailty from start to finish. 2. The room has chic and comfortable designs. The bathroom and the changing room were perfect with lots of space to put our stuff. Little clips to hang clothes and a small bin on the dresser were some little things that showed the owner's attention for details. 3. The bed is super cozy. Clean and comfortable bedsheets. If you are a gang of girls or you want to impress a girl/lady, Dandelion is definitely your choice! All are good for a short getaway.